The Bhutan Football Federation (BFF) is all set to host the second edition of South Asian Football Federation (SAFF) U-15 Women’s Championship at Changlingmithang national stadium at Thimphu in the month of August, according to a Kuensel report. In its first edition last year held in Bangladesh, the host team emerged as the champions defeating India. The participating teams were Bangladesh, India, Nepal, and Bhutan. Last year, the tournament was held in the month of December. This edition of the championship will witness increase in the number of teams to five with the U-15 women’s team of Pakistan set to make their debut in the tournament. 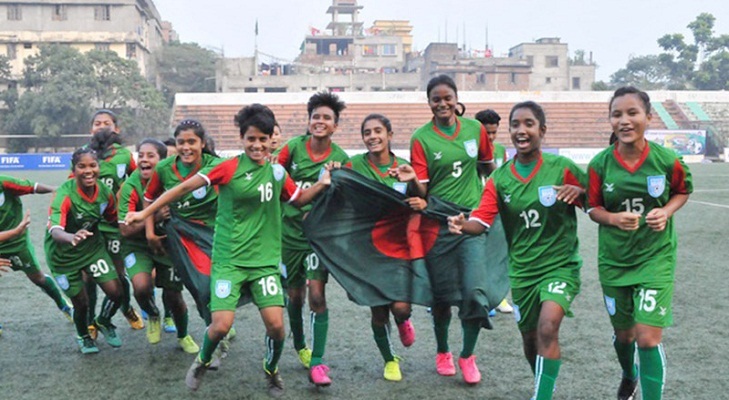 The decision to host U-15 SAFF championship came after it proposed SAFF to host senior women SAFF championship in the country. However, SAFF has allowed the federation to host the U-15 championship. Unlike the first edition that used two different stadiums of Bangabandhu National Stadium and BSSSM Mostofa Kamal Stadium in Dhaka, all the games of the championship this year will be played in Changlingmithang national stadium of Thimphu in Bhutan. The championship is scheduled to begin from August 8 with a itinerary of 12 days. The organizers are optimistic that the championship to be held in Bhutan will help develop football in that country. There are about 30 U-15 national women players who are undergoing training in Gelephu football academy. The U-15 women’s team will be in the capital city for Ugyen Trading House Women’s Super-league 2018 that begins from July 1 in Thimphu.